long time no see, i am in shanghai china now with my baby daaihai, do u remember i am so thank you for this lovely dog, it make me love u too. i hope u guys can come to visit me and daaihai, and i also can show u about china now. Sorry I have not written in a long time. 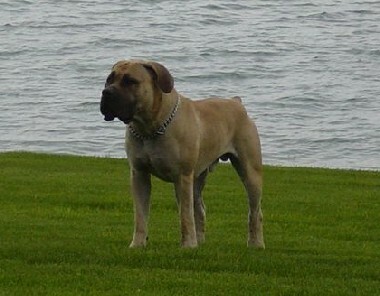 Baden Java is doing great (148 lbs)! 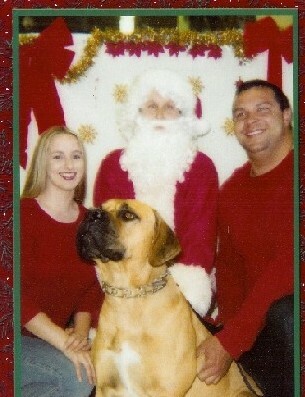 We love him and have added to our Boerboel family. We have 1 year old Jewels now..she is a Madala puppy we got from Cammie at Select Reserve...we actually met Madala in person, what a great dog. 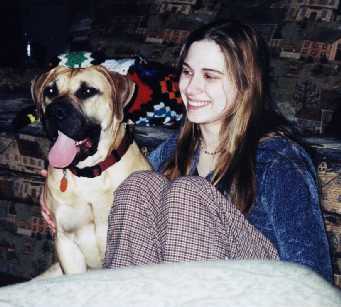 I can see why you loved him so much. 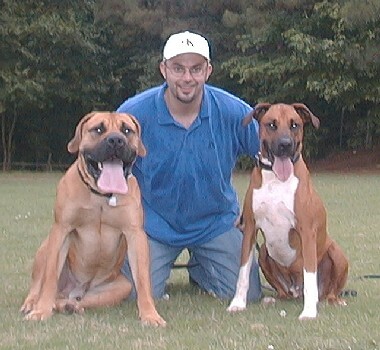 Here is a picture of our Boerboels. I hope all is well with you. I wanted to give you an update on Max. 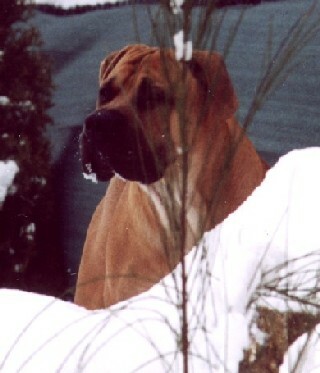 He is doing great and he is a very fast athletic Boerboel at 120lbs. He just turned 3 years old and races after the other Lab with amazing speed(not being so heavy does help sometimes :-. He is great with other people. 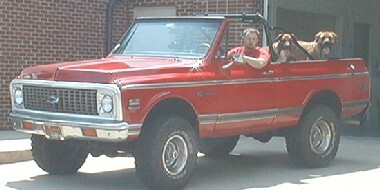 Please feel free to put his picture up. Greetings from Seattle. Here is an updated picture of 5 year old Java. He is doing great and continues to be the best dog we could have ever asked for. 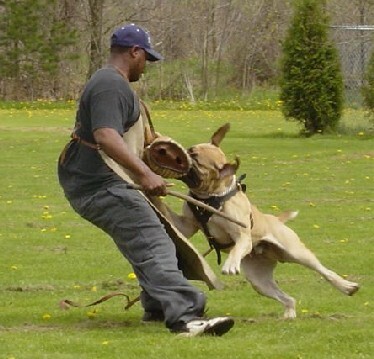 He loves his sister (Jewels: Select Reserve: daughter of Madala)..as you can see in this action shot. 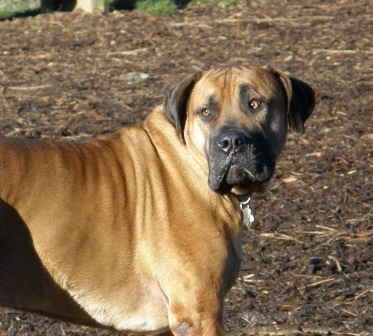 We love our Boerboels. Today there was a young dog show for pups to 15 month, without competitio. 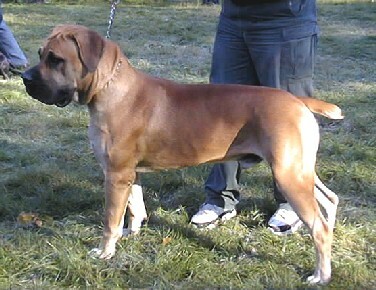 A friend of us ask the people of this show ""can the boerboels of my friend come"" and they like it, it was verry nice because the BB is not accept by the UCI this moment and not alaud on the normal shows here. 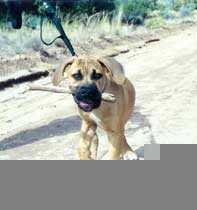 The jugde read the whole week the all the things of Boerboels even the SABT ras points, so he make a good job today,ha ha ha. It was a great succes because only a few people know the BB. And Nanu he was the big guy, he is so lovely Attie, he was the eyemaker this day, his character is so fantastic he likes all dogs people birds little childs, I think his live is only fun, jump in baby carriage for give the little child a big kiss, she was 4 month old the parents were compleet in love of him. His weight was "30" days ago 46 kilo, and he is so strong he gives me realy muscles, specialy today because I was there with all three BB Mchoemba is almost one year and Sorcha is 2 weeks older than Nanu. 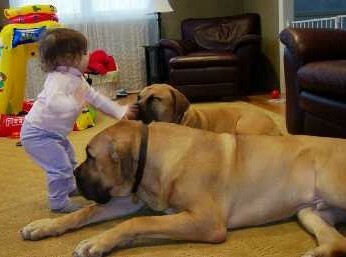 They only want to play, but they all learn a lot of the pupcurses, and they show themself verry good. 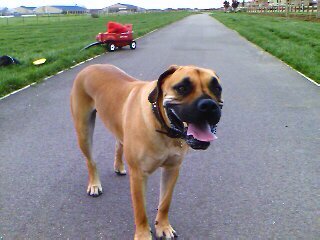 The big succes today was that people saw the good lovely character of the Boerboels, specialy of a male like Nanu. 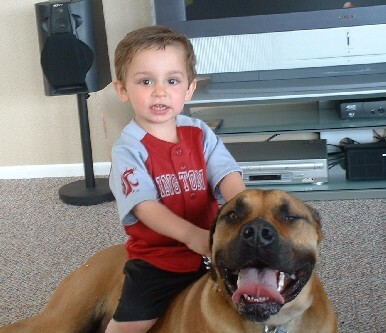 Jack McClure and boerboel Jackson of Holland sharing some bright shining moments together. 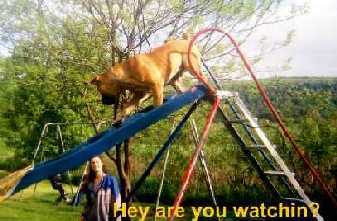 "Hi Mom, is this what they call a Boerboel? 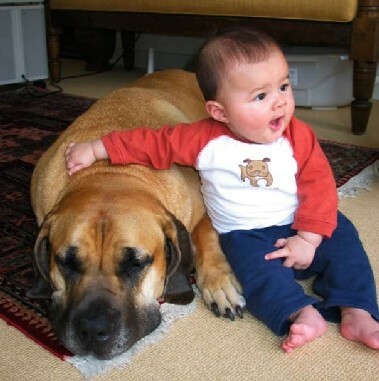 - he is my best friend!" 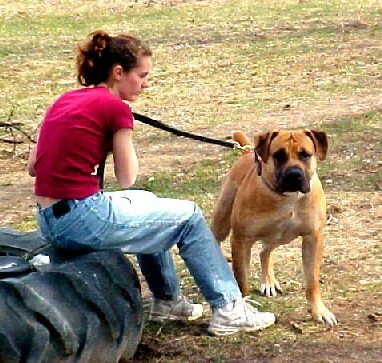 Shu Wing Wong, with her boerboel in Canada.